Hello Everyone.! 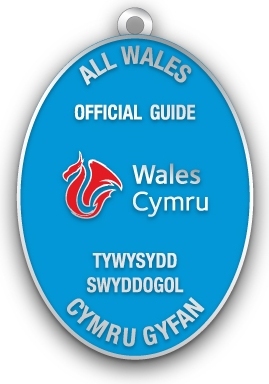 Welcome to my guiding page and welcome to Wales if you're here on holiday. 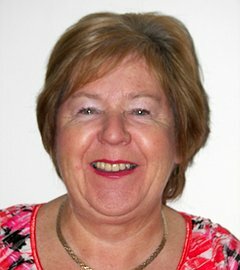 My name is Lynne Bellis and I am a qualified Blue Badge Tour Guide for Wales. Travelynne Cymru is the name of my tourist guiding business and website. I Love my homeland and it gives me great pleasure to warmly welcome visitors to Wales with a smile. 2018 THE YEAR OF THE SEA. Contact me for more details of tours. Born and brought up in Wales with a knowledge of the Welsh language. Love music and enjoy singing Welsh songs and playing the guitar. I would also describe myself as the singing guide as I actually sing some Welsh songs for people on a tour and they all enjoy listening to Welsh songs as traveling through the Welsh countryside. A retired primary school teacher with a keen interest in history, heritage, environment, tradition and culture. 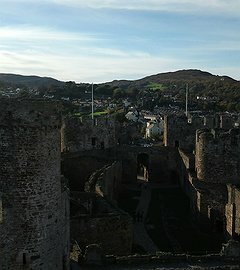 Conquer Conwy Castle and Town: Join in Travelynne's Capers around Conwy. Llandudno Walks and Afternoon Tea. Conwy Food and Drink Walk. 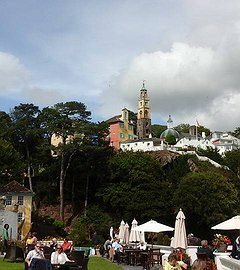 Snowdonia's Spectacular Scenery and the world famous Italianate village of Portmeirion and Brondanw Gardens. Conwy Valley Tour to include Bodnant Gardens, Bodnant Food Centre, Gwydir Castle, Trefriw Woolen Mills and the recently opened new wave attraction of Surf Snowdonia. If you enjoy mystery tours in North Wales, why not try my Miss Guided Mystery tours for fun. As part of the tour, we will be calling at an inn for light refreshments. 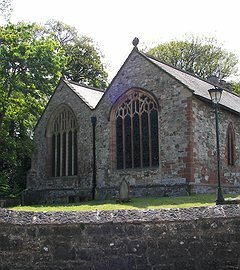 Churches in the Vale of Clwyd. I can arrange tours to suit your needs and my speciality are cultural,musical and garden tours. Contact me for more information about future tours in North and South Wales. Last Year 2017 was THE YEAR OF LEGENDS . Listen to the folk tales,history and Legends of Wales. Come to FIND YOUR EPIC IN THE SOUL OF WALES. 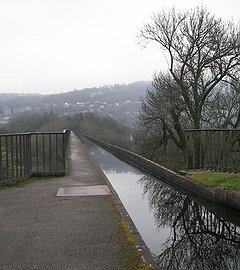 I have guided previously at the World Heritage site of Pontcysyllte Aqueduct Walks and talks about the site. Trails with Tales in towns of North Wales – Conwy, Caernarfon, Llangollen, and Ruthin. 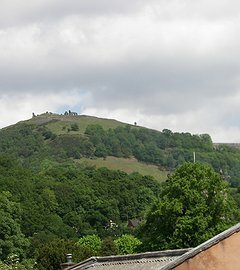 I have experience of guiding groups around Chirk,Denbigh, Conwy,Caernarfon and Beaumaris Castles and Plas Mawr in the town of Conwy which is an Elizabethan mansion. 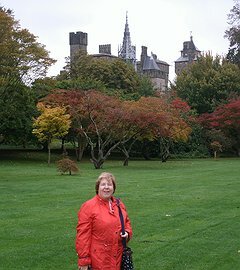 I have extensive knowledge of Bodelwyddan Castle, and St Margaret's Church or also known as the Marble Church, Bodelwyddan. I have worked with Visit Britain and guided groups from Scandinavian countries on a 3 day tour of north Wales. 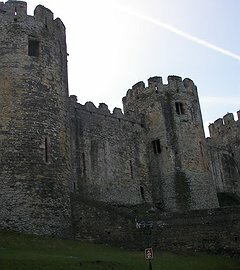 I provided itineraries for day tours and have organised a 6 day tour of North Wales for a group from Belgium. Last Year I had various groups on tour in North and South Wales. A family group of Mormons came to visit their ancestral homes and enjoy the scenery,along with a walk of the Coastal Park. I have experience of guiding a group from Vermont who were interested in gardens. A group from the Chicago Art Centre had a lovely tour of Bangor Theatre and on to Portmeirion and Bron Danw. Contact me to devise an itinerary to suit you. I can also provide interesting talks and Musical Evenings for Special Events, St David's Day etc. Suitable for Clubs and Societies. Tours and Talks arranged for Soroptimist Clubs, WI groups, U3A Groups, Merched-Y Wawr, History Societies etc. Croeso eto i Gymru! Welcome again to Wales!